John Walker-Smith, professor of paediatric gastroenterology, hurried to Malcolm ward on the sixth floor of the Royal Free Hospital, London, with what any doctor would think was bad news. An 8 year old boy, admitted for five days of investigations, had been provisionally diagnosed with Crohn’s disease. But when the child’s mother—here anonymised as “Mrs 2”—years afterwards recounted what happened, she seemed pleased to have received information she expected and made it sound as if Walker Smith was glad too. Brightly painted with murals, Malcolm ward was Walker-Smith’s. It came with his employment contract. Exactly one year previously, in September 1995, he had been lured to the Royal Free with many perks, of which this was one. Previously the hospital had no children’s bowel service, but with him it had a chance of the best. But instead of honours, the two men reaped disgrace. In January and May 2010, the UK’s General Medical Council found them guilty of a raft of charges over a project involving child 2.4 Wakefield, now 54, was judged by a five member panel to be guilty of some 30 charges, including four counts of dishonesty and 12 of causing children to be subjected to invasive procedures that were clinically unjustified; Walker-Smith, 74, was deemed irresponsible and unethical.4 Both were struck off the medical register5 6 and have since filed High Court appeals. Their misconduct arose out of a fishing expedition, in which Malcolm ward was the pond for the measles theory. Since February 1996, seven months before child 2’s admission, Wakefield had been engaged by a lawyer named Richard Barr, who hoped to bring a lawsuit against vaccine manufacturers.7 8 Barr was a high street solicitor, and an expert in home conveyancing,9 but also acted for an anti-vaccine group, JABS. And, through this connection, the man nowadays popularly dubbed the “MMR doctor” had found a supply of research patients for Walker-Smith. The first to be admitted—in July 1996—was a 3 year old boy with autism. But, according to his records, reviewed by the GMC panel, he was so constipated that, despite two attempts, the endoscopist could not reach his small intestine. So child 2, who had diarrhoea (found to be constipation overflow) was the first to have his ileum intubated. The following day, Monday, child 2 had an ileocolonoscopy, which, in common with seven other children reported in the paper, the GMC panel would find was not clinically warranted. Tuesday was Wakefield’s 40th birthday. And on Wednesday, with the news that the boy—still on the ward—might have Crohn’s disease, the doctor produced a remarkable document. It was an 11 page draft of a scheme behind the vaccine scare, now revealed for the first time in full. The document was headed “Inventor/school/investor meeting 1.”15 Based on a patent Wakefield had filed in March 1995 claiming that “Crohn’s disease or ulcerative colitis may be diagnosed by detecting measles virus in bowel tissue, bowel products or body fluids,”16 it proposed starting a company that could reap huge returns from molecular viral diagnostic tests. It predicted a turnover from Britain and America of up to £72.5m a year. As it turned out later, child 2 did not have Crohn’s disease, but three weeks after drafting the plan, Wakefield met three others to discuss it. One was his mentor, Roy Pounder, the Royal Free’s professor of gastroenterology and later vice president of the Royal College of Physicians. The others were Bryan Blatch, the medical school’s secretary, and Cengiz Tarhan, its finance officer. Discussions about the business continued over the following years, but Wakefield’s involvement with Barr was quickly noted. In October 1996, the medical school’s dean, Arie Zuckerman, a virologist, was told that the lawyer had offered to pay the school for a “clinical and scientific study,”18 19 and had sent a first instalment of £25 000.20 21 This was held in suspense while Zuckerman sought confidential ethical advice from the British Medical Association, although Wakefield had already started spending it. The BMA answered fully the following March, after its ethics committee had considered the issue. It said that money could be accepted provided there was proper research oversight and transparency over funding and patient sources. The paper itself, meanwhile, included a funding statement, which Else later told me he did not notice. “This study was supported by the Special Trustees,” it said, with no mention of legal aid or Barr. Nevertheless, the school remained interested, and a two year courtship ensued. Even as the vaccine scare escalated, triggering a deluge of referrals to Walker-Smith, staff at Freemedic, the commercial arm of what was now the merged Royal Free and University College Medical School, poured over contracts and plans. Carmel was registered in the Irish Republic, where Wakefield would also become a director of another business. This was Unigenetics Ltd, incorporated in February 1999 with a Dublin pathologist, John O’Leary. After Wakefield submitted a confidential report to the Legal Aid Board,36 Unigenetics was awarded—without checks—£800 000 of taxpayers’ money 28 to perform polymerase chain reaction tests on bowel tissue and blood samples from children passing through Malcolm ward. The key players in Carmel were the same as in the first company, Immunospecifics, with their planned equity now set out. Wakefield would get 37%, and the father of child 10 22.2%. The venture capitalist would get 18%, Pounder 11.7%, and O’Leary 11.1%. Some would also be awarded extra money in advance, in proposed “executive and non-executive staff costs.” Wakefield was set to get £40 000 a year,37 in addition to his legal earnings and medical school salary, with an annual travel budget of £50 000 for the business. Here was another striking conflict of interest, but Wakefield had long made clear his expectations. “The Company will endeavour to ensure that the principal members of its management and scientific team are suitably incentivised by the allocation of Equity and stock options,” he had written in September 1996, when child 2 was still on the ward. “Once the work of Professor O’Leary and Dr Wakefield is published, either late in 1999 or early in 2000, which will provide unequivocal evidence for the presence of the vaccine derived measles virus in biopsy samples,” the prospectus said, “the public and political pressure for a thorough, wide ranging investigation into the aetiology of the bowel conditions will be overwhelming. This latter document was never signed, and strictly therefore of no effect. But University College London (UCL) honoured its spirit, ensuring that the scheme went unreported. And when I was tipped off about Wakefield’s business arrangements, the college fought me for three years under the freedom of information act to keep its involvement hidden. Refusals were authorised by UCL’s provost, Malcolm Grant, a professor of environmental law. Only when Richard Thomas, at the time the UK’s information commissioner, travelled to the college’s offices and later served a formal notice, did they release the documents into my hands. But for all the preparations, ready for presentation to investors, one critical issue for the apparent inventions was not broached—that the company’s ambitious products might not work. Investors might have been encouraged by the mounting vaccine scare and by the Lancet’s backing for Wakefield.41 But there were curious fundamentals in the secret scheme which the best informed investors might have noticed. Firstly, transfer factor, for the proposed treatments and vaccines, had long been abandoned by industry. Proposed in the 1940s as a bespoke blood product remedy, it was all but killed by impractical cost, risk of infection, and lack of evidence or standards. Later reformulated as a treated milk pill, as in proposals such as Wakefield’s—which relied on the colostrum of pregnant goats—experts suggest that it is therapeutically inert.42 Today, it is promoted on the internet as a cure all. Secondly, there was Hugh Fudenberg, the American immunologist with his Neuro Immuno Therapeutics foundation. He was under sanction at the time from his local medical board over his prescription and use of controlled drugs.43 When I interviewed him in August 2004 for a Channel 4 documentary,28 he claimed to cure autism with transfer factor, which he said he rolled out like pizza “three molecules deep” on his North Carolina kitchen table. “And where does that come from?” I asked. Another hidden flaw, which would emerge only later, was the Dublin measles tests—over which vaccine lawsuits in Britain and America would founder.44 These tests were promoted as detecting persistent virus from past MMR vaccinations. But blood from Walker-Smith’s patients, analysed by O’Leary, failed to give consistent results. For instance, child 2 had all the elements for Wakefield’s theory: regressive autism, bowel problems (actually diagnosed as a food intolerance45), and a mother who blamed MMR. He was vaccinated at 15 months of age in November 1989. A blood test for the virus 11 years later was negative. Then, two years after that, another result from the boy was positive. Then, two months after that, one was negative. The launch was scheduled for March 2000, with an attention grabbing stunt three months earlier. No Nature paper appeared, and Wakefield’s platform was to be a London meeting of the Pathological Society of Great Britain and Ireland. 47 There, with O’Leary and Pounder (who both declined to comment on my findings), he planned to present research claiming a breakthrough. Based on alleged gut biopsy samples from Walker-Smith’s patients—10 with autism and three with Crohn’s disease —tested at the Dublin laboratory, it claimed a “possible causal link” and, given a Wakefield presentation, promised a storm like the press conference two years before. Meanwhile, he nurtured relationships, with drug industry support, including front of the plane overseas travel. “Please find enclosed a cheque for £2876.70 from Axcan Pharma Inc, a refund of my airfare with regard to my Canadian trip,”48 he told the special trustees, for example, as he put final touches to the scheme. He was also then negotiating a Johnson & Johnson consultancy49 and had longstanding connections with Merck and SmithKline Beecham. But as the Carmel plans were finalised, Wakefield’s fortunes reversed. On the brink of his business launch, it foundered. With Chris Llewellyn-Smith, a theoretical physicist and at that time UCL’s provost, Pepys struck in December 1999, barely two months after starting at the Royal Free. Wakefield was summoned from the hospital’s Hampstead campus to the college’s central London headquarters. He was challenged over the scheme, then on the verge of fruition, and was given a two page letter. But the paperwork does not show this. Despite all that had happened, UCL volunteered to support his work. It offered him continuation on the staff, or a year’s paid absence, to test his MMR theories. He was promised help for a study of 150 children (to try to replicate his Lancet claims from just 12) and, in return for withdrawing from the January London conference, he would be given the intellectual property free. But the study did not happen. The 1998 Lancet research had been a sham.10 Trying to replicate it with greater numbers would have been hopeless. Wakefield would never perform the research anywhere, or prove his measles theory. His vaccine plans—predictably—went nowhere. And when I put these matters to him, he and his lawyers acknowledged receipt but offered no further response. Public fears over the vaccine had yet to reach their peak. My investigation would not begin for two years. But Wakefield would never again hold an academic post, and the secret scheme behind the scare was no more. Competing interests: The author has completed the unified competing interest form at www.icmje.org/coi_disclosure.pdf (available from him on request) and declares no financial relationships with any organisation that might have an interest in this work; BD’s investigation led to the GMC proceedings referred to in this report, including the charges. He made many submissions of information, but was not a party or witness in the case, nor involved in its conduct. Walker-Smith JA, Enduring memories. The Memoir Club, 2003. Wakefield AJ, Pittilo RM, Sim R, Cosby SL, Stephenson JR, Dhillon AP, Pounder RE. Evidence of persistent measles virus infection in Crohn’s disease. J Med Virol1993;39:345-53. Thompson NP, Montgomery SM, Pounder RE, Wakefield AJ. Is measles vaccination a risk factor for inflammatory bowel disease? Lancet1995;345:1071-4. General Medical Council. Fitness to practise panel. Findings of fact, 28 January 2010. www.gmc-uk.org/static/documents/content/Wakefield__Smith_Murch.pdf. GMC. John Walker-Smith: determination of serious professional misconduct 24 May 2010. www.gmc-uk.org/Professor_Walker_Smith_SPM.pdf_32595970.pdf. Deer B. MMR doctor given legal aid thousands. Sunday Times2006 Dec 31. www.timesonline.co.uk/tol/news/uk/article1265373.ece. Barr R, Barr A. The Which? way to buy, sell and move house. Consumers’ Association. 1993. Deer B. 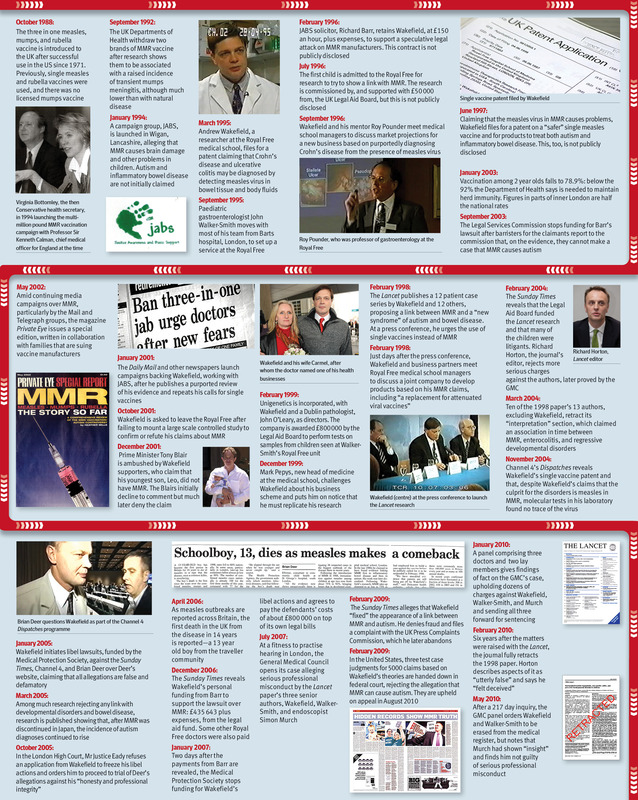 How the case against the MMR vaccine was fixed. BMJ2011;341:c5347. Both Mrs 2 and JABS separately confirmed this to Deer. GMG fitness to practise (FTP) panel findings. Page 12. Barr R, Wakefield A. Proposed protocol and costing proposals for testing a selected number of MR and MMR vaccinated children, and attached technical specification. Submitted to the Legal Aid Board, 6 June 1996. Inventor/school/investor meeting 1. 4 September 1996. Diagnosing Crohn’s disease or ulcerative colitis by detection of measles virus. 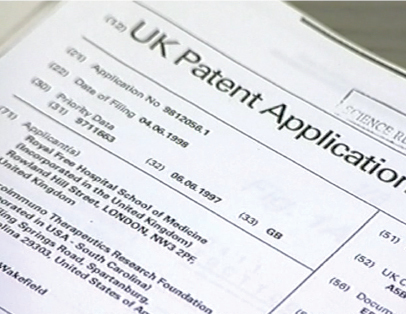 UK patent application 2 300 259 A. UK Patent Office. Priority date 28 March 1995. Publication date 30 October 1996. Langdon-Down G. Law: a shot in the dark. Independent 1996 Nov 27. Deer B. 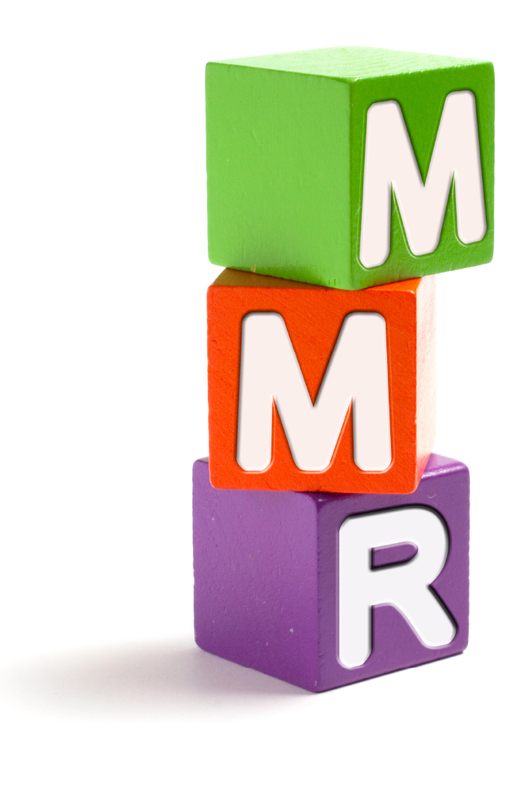 Revealed: MMR research scandal. Sunday Times2004 Feb 22. www.timesonline.co.uk/tol/life_and_style/health/article1027636.ece. Legal Aid Board. Authority to do contract work. 22 August 1996. Arie Zuckerman. Letter to EM Armstrong. 11 October 1996. GMC fitness to practise panel findings of fact (admitted). Page 6. Cengiz Tarhan. Memo to Arie Zuckerman. 20 May 1997. Annotated by Zuckerman. 2 June 1997. FTP panel findings. Page 6. Martin Else. Letter to Andrew Wakefield. 30 June 1997. Published at Deer B. How lawyers paid for start of MMR scare; letters refute Andrew Wakefield’s story. http://briandeer.com/wakefield/wakefield-deal.htm. Andrew Wakefield. Letter to Martin Else. 3 July 1997. Although Wakefield and the Lancet would later claim that the Legal Aid Board commissioned a quite separate “viral” study, the work specified in the documents submitted to the Legal Aid Board, seeking funding, on 6 June 1996, included clinical examination, ilecolonoscopy, histology, immunohistochemistry and molecular analysis for measles virus, neuropsychiatric studies, MRI brain scan, lumbar puncture, EEG and evoked potentials, B12 studies, modified Schilling test, and various blood and urine tests. The document includes costings, such as £1,750 for colonoscopy with four night’s stay, £1,000 for MRI scans, and £1,400 for medical reports. Molecular, immunohistochemical and electron microscopic analysis of tissues was priced at £500 per child. Named investigators for the legal project who would also be authors of the Lancet paper were Andrew Wakefield, John Walker-Smith, Simon Murch, David Casson, Amar Dhillon, John Linnell, Mark Berelowitz and Peter Harvey. The document states: “The objective is to seek evidence which will be acceptable in a court of law of the causative connection between either the mumps, measles and rubella vaccine or the measles/rubella vaccine and certain conditions which have been reported with considerable frequency by families of children who are seeking compensation. It is hoped that using the testing protocol attached it will be possible to establish the causal link between the administration of the vaccines and the conditions outlined in this proposed protocol and costing proposal.” The board commissioned the project under an “authority to do contract work”, naming Wakefield, issued on 22 August 1996. The technical specification is materially identical to a protocol submitted for approval by the Royal Free’s ethics committee, and work to be performed materially identical to the study submitted by Wakefield to the Lancet, with data sliced into two paired papers, which were peer-reviewed together. One was published on 28 February 1998, and the other was rejected by the journal. Deer B. Interview with Richard Barr, 14 January 2004. Audio extract of follow-up at: http://briandeer.com/audio/richard-barr.mp3. Deer B. MMR—what they didn’t tell you. Dispatches. Channel 4 Nov 18, 2004. Immunospecifics Biotechnologies Ltd. Draft prepared by Mr 10. 4 March 1998. Deer B. Revealed: the first Wakefield MMR patent claim describes “safer measles vaccine.” http://briandeer.com/wakefield/vaccine-patent.htm. Lawrence HS, Valentine FT. Transfer factor and other mediators of cellular immunity. Am J Pathol1970;60:437-52. Deer B. Revealed: undisclosed payments to Andrew Wakefield at the heart of vaccine alarm. http://briandeer.com/wakefield/legal-aid.htm. Buie T, Campbell DB, Fuchs GJ, Furata GT, Levy J, VandeWater J, et al. Evaluation, diagnosis, and treatment of gastrointestinal disorders in individuals with ASDs: a consensus report. Pediatrics 2010; 125 (suppl 1): s1-18. Carmel Healthcare Ltd. Business plan. 1999. Wakefield AJ. Developmental disorders in children and measles, mumps, rubella (MMR) vaccine. Interim report to the Legal Aid Board. January 1999. Cengiz Tarhan. Letter to Andrew Wakefield. 11 November 1999. Indenture document, 2nd version, October 1999. Cengiz Tarhan. Letter to Mr 10. 29 July 1999. Horton, R. Second Opinion. Granta Books, 2003. Deer B. Royal Free’s autism pill partner, Hugh Fudenberg, wasn’t fit to prescribe. http://briandeer.com/wakefield/hugh-fudenberg.htm. United States Court of Appeals for the Federal Circuit. Judgment in Cedillo v Secretary of Health and Human Services. 27 August 2010. Walker-Smith JA, Davies SE, Murch SH, Wakefield AJ. Ileo-caecal lymphoid nodular hyperplasia non-specific ileo-colitis with regressive behavioural disorder and food intolerance: a case study. J Pediatr Gastroenterol Nutr1997;25(suppl 1):S48. Carmel Healthcare. Outline PR plan and action list ahead of Andrew Wakefield’s presentation at the Pathological Society of Britain & Ireland on 17/01/00 [sic]. Uhlmann V, Martin C, Shiels O, O’Donovan M, Bermingham N, Ring M, et al. Measles virus (MV) in reactive lympho-nodular hyperplasia and ileo-colitis of children. Pathological Society of Great Britain and Ireland. 180th meeting, 18-21 January 2000. J Pathol2000;190(suppl):33A. Andrew Wakefield. Letter to A Needham. 13 September 1999. Andrew Wakefield. Letter to Mark Pepys. 12 October 1999. Chris Llewellyn-Smith. Letter to Andrew Wakefield. 9 December 1999. Profile: Dr Andrew Wakefield. BBC News2010 Jan 27. http://news.bbc.co.uk/1/hi/health/3513365.stm. Deer B. 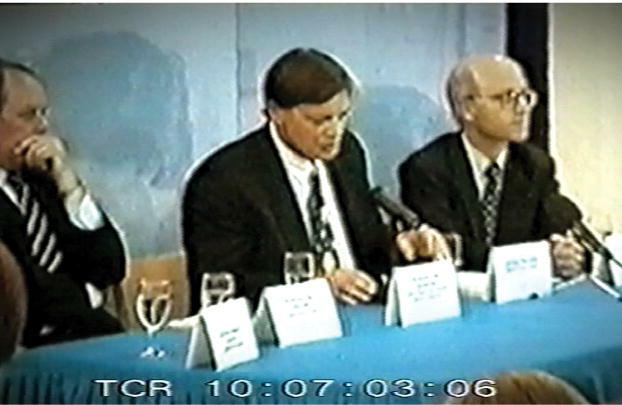 Vaccine victim: Andrew Wakefield invents a bizarre conspiracy [video]. http://briandeer.com/solved/tall-story.htm. 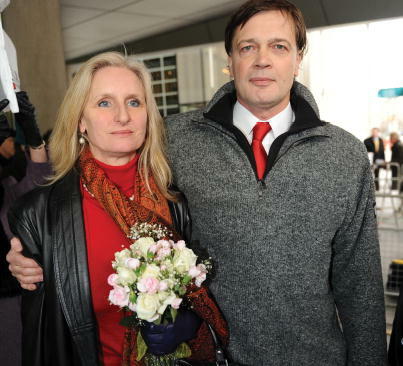 Profile: Andrew Wakefield , the man at the centre of the MMR scare. Times2010 May 24. http://www.timesonline.co.uk/tol/news/uk/article7135099.ece. Chris Llewellyn-Smith. Letter to Andrew Wakefield, 16 March 2000. Andrew Wakefield. Letter to Chris Llewellyn-Smith. 4 September 2000.